Your business may take up the majority of your time, but even with your constant attention, the volume of calls you receive could be more than you can handle on your own. That’s why a wide variety of business owners and service providers trust answering services to handle calls, sometimes 24 hours a day. Doctors and medical professionals can work regular office hours, and relax at home knowing that an answering service will take any emergency calls that come in. Plumbers and contractors can be reached by an answering service for emergencies such as burst water lines. Keep reading to learn more about how answering services work. Answering services can provide a variety of different services for all different types of businesses. In addition to professions that frequently have to deal with emergencies, answering services are a valuable tool for sales representatives who can’t afford to miss leads just because they’re away from the phone. The answering service gives the caller a human voice to interact with, and lends a much more professional appearance to the business than standard voicemail. Small businesses and people who are self-employed can have calls routed through an answering service to save themselves time answering common questions. In today’s modern world, answering services can do more than just pick up overflow or afterhours phone calls. Answering services can also provide live online chat help, appointment setting services, and order taking for online stores. With the help of an answering service, your business never has to miss a potential sale or new customer because you can’t get to the phone or the computer. As a business owner, this is a service that can ease your worries and let you truly relax when you are away from your office. 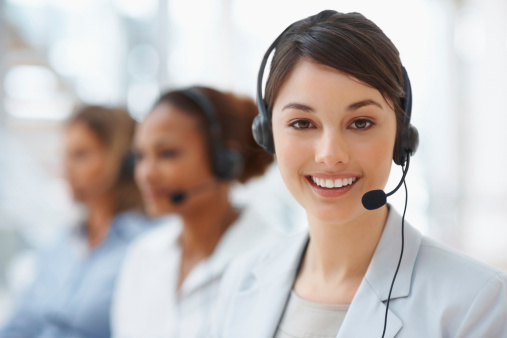 If something requires your attention right away, your answering service will filter those calls and let you know. Contact One Call Center has been family-owned and operated for more than 30 years, providing efficient, personalized customer service for businesses in Arizona and beyond. Contact us at 800-278-3347 to find out how you can put our services to work for your business.